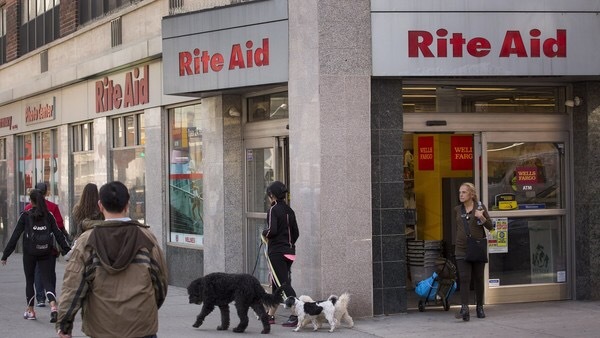 Walgreens Boots Alliance, the US’s second-largest pharmacy chain by sales, has agreed to buy smaller rival Rite Aid for $17.2bn including debt, in the latest move by billionaire chief executive Stefano Pessina to build a global drugstore group. Walgreens will pay $9 in cash for each Rite Aid share, representing a 48 per cent premium to Monday’s closing price, the companies said in a statement. At the offer price, Rite Aid has an equity value of $9.45bn with net debt of $7.75bn. Earlier news of the talks had sent shares in Rite Aid up 43 per cent to $8.67 in New York. However, in after-hours trading the shares were down 7.7 per cent at $8 as bankers cautioned the deal could face regulatory hurdles. Walgreens Boots shares closed 6.4 per cent higher at $95.16 before falling slightly in after-hours trading. Rite Aid has 4,561 pharmacies concentrated mainly on the east and west coasts, compared with Walgreens’ 8,232, though it is closing around 200. The footprint of the combined company could raise competition issues, which could force divestitures at some locations, analysts said. A deal will help Walgreens expand in regions where it has less of a presence such as the northeast US. It could make it the largest purchaser of branded and generic drugs globally, giving it a “huge cost advantage”, said Vishnu Lekraj, a senior healthcare analyst at Morningstar. Walgreens said it expected to realise cost savings of more than $1bn from the deal. “The transaction is expected to be accretive to Walgreens Boots Alliance’s adjusted earnings per share in its first full year after completion,” the company said. The companies will initially operate as separate entities but will be integrated over time. Mr Pessina, 74, who was named chief executive of Walgreens Boots in July after spending seven months as its acting chief, leads the company’s dealmaking strategy. He engineered the combination of Boots of the UK and Walgreens, and speculation had been rife that he would continue to look for more acquisitions. The healthcare industry — from drug companies to insurers and pharmacy chains — has gone through a wave of consolidation, amid the expansion of government-supported healthcare access under Obamacare. The reform includes provisions aimed at driving down costs, and aims to broaden access to healthcare for some of the country’s poorest. Mr Pessina told investors this year that the American industry was “ready for another round” as he expected Washington to “exert their power” to squeeze costs, which would dent profit margins. “Everyone is trying to get bigger and better” to try to leverage scale and improve pricing power with suppliers, Mr Lekraj said, referring to the healthcare industry as a whole. He added that the deal could also help Walgreens incrementally when it comes to negotiating reimbursement rates with so-called pharmacy benefit managers. These act as intermediaries between drug companies and insurers. Mr Pessina’s move to take over Rite Aid, first reported by the Wall Street Journal, would return Walgreens to its status as the biggest drugstore chain in the US, topping CVC Health, which has also grown recently through acquisitions. The deal would also give Mr Pessina and Walgreens access to Rite Aid’s heath insurance business, something he had been keen to acquire. Posted on October 28, 2015, in Other. Bookmark the permalink. Leave a comment.